Among questions of interest to biologists who study animal behavior are these: When should an animal - for example, a fiddler crab - intervene to help a neighbor having a territorial dispute with an intruder? Does eavesdropping - for example, by green swordtail fish - increase or reduce the overall frequency of aggressive behavior in a population? How widespread in nature is mutual assessment of fighting abilities? To be sure, humans do it, but what about hermit crabs or sea anenomes? And if strength is indeed being assessed, when does it pay for a threat to be a bluff? The list of such questions is virtually endless, and efforts to resolve them rely increasingly on collaborations between biologists and mathematicians using analytical tools called games. Constructing such games is the focus of my research. A game in this context is a mathematical model of strategic interaction, which arises whenever the outcome of one individual's actions depends on actions to be taken by others. Where I am concerned, that one individual is usually a non-human animal, and the others are the rest of its population. But games are also used by social scientists to explore the economy and other aspects of human behavior. Indeed game theory has morphed into so many subfields, it is hard for anyone to keep track of them all. Whatever the question of interest, the answer is usually a function of circumstances, and that is in essence why mathematics is key. If some behavior has evolved by natural selection and become fixed in a population, then every feasible alternative behavior must yield a lower reward, for otherwise the alternative behavior would have spread into the population. So once a game has been constructed, the task becomes finding a so-called evolutionary stable strategy or ESS, a population strategy that yields a higher reward than any feasible alternative. A well designed model typically has an ESS that, although unique, is different across different circumstances, and it is primarily these differences that most interest both my collaborators and me. 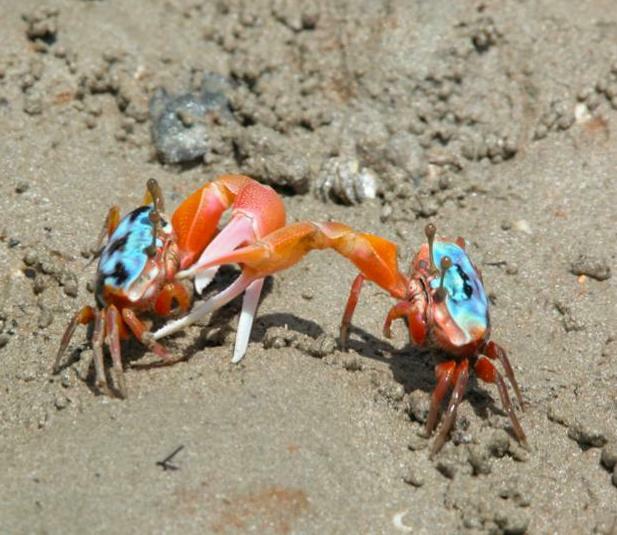 Take, for example, those fiddler crabs. Working with Tom Sherratt, a long-term collaborator from Carleton University in Ottawa, I constructed a model whose ESS depends on three size thresholds, in the following way: A territory owner who is sufficiently strong (above the first size threshold) should help a neighbor who is sufficiently weak (below the second threshold), but otherwise not help; and a "floater" seeking a territory should challenge for ownership only if sufficiently strong (above the third threshold). These three thresholds in turn depend in a fairly complicated way on a host of ecological factors, such as variance in size, reliability of size difference as a predictor of fight outcome, costs of fighting or of boundary renegotiation and effects of territorial pressure. Tom and I were able to characterize this dependence and compare our predictions with observed behavior. Field studies in fiddler crabs have shown that helpers are always larger and hence stronger, which makes sense on two levels: there is more to gain from helping a weak neighbor (because the helper can more easily enjoy a larger territory); and stronger neighbors can fend for themselves, so there is less need to get involved. Our predictions match these observations for any range of ecological parameters where the second threshold is always lower than the first. But our model also identifies other circumstances in which the second threshold is higher than the first, and so an animal should sometimes come to the aid of a neighbor who is stronger. This less intuitive prediction remains to be confirmed or refuted by future field studies, and serves as a test of our model. Games allow us to explore the logic of a verbal argument rigorously and often demonstrate what can be difficult to intuit. For example, although in nature a contested food resource is most often monopolized by a clear winner, a recent study of roller beetles observed contests that resulted in sharing - most commonly when opponents were approximately equal in size. So mutual assessment was suggested by the study's authors as instrumental to the outcome. The idea is intuitively appealing. Yet there is virtually no evidence to support such mutual assessment. It is also not essential. Again working with Tom Sherratt, I constructed another game in which individuals vary in size but are unable to assess their opponent's size, yet the model still predicts sharing. Moreover, individuals observed sharing are unlikely to be closely matched, even though closely matched individuals are likely to share. This result is not so easy to intuit, but there is proof in the mathematics. 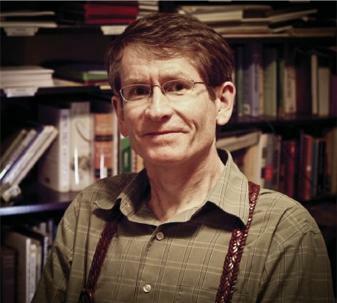 Although Tom is my most frequent collaborator, I have also worked with other biologists. For example, with Ian Hardy (University of Nottingham, UK) and Jeremy Field (University of Sussex, UK) I have modeled reproductive queues, such as are observed in social wasps; with Eldridge Adams (University of Connecticut) I have modeled both bluffing by stomatopods and the use of landmarks as territorial boundaries in cicada killer wasps; and with Steve Heap (University of Melbourne, Australia) I am modeling self versus mutual assessment in all kinds of animal contests. I have now been a game theorist for more than two decades, and I plan to continue for at least two more. With five current graduate students and an apparently steady supply of future ones, it is hard to imagine that my research could ever revolve around anything else. Yet it's a far cry from anything I ever foresaw myself doing. Unlike so many of the mathematicians I read about, I did not always know I would become one. On the contrary, creative writing was always top of my list. (At present an occasional limerick is my only outlet for it, but I retain a stash of manuscripts, mainly children's stories from the 1970s, which I still plan to edit and publish some day). When I enrolled at the University of York in 1971, I was still majoring in English. Yet when I graduated from York in 1974, I had become solely a mathematics major. Why? If I am honest, mainly because jobs were more plentiful for mathematics majors, then as now. There had been no epiphany. My first degree was almost entirely pure mathematics. But I knew that jobs were more plentiful for applied mathematicians, and so I duly became one in 1974 on moving to the University of Oxford. When I graduated in 1977, my DPhil thesis was on magnetohydrodynamics; in 1974, it had never even occurred to me that such a word could be found a use. While at Oxford, I had become interested in biology, and I subsequently applied for several postdocs. But how many biologists would hire a mathematician who had never taken a biology class in his life? Nowadays, more than you might think; in the late 1970s, not so many. Instead there followed forays into solar physics, helicopter dynamics and natural resource modeling. Each new topic was increasingly more remote from its predecessor, though of considerable interest to me at the time, if only until usurped by a newer interest. It often seemed there was no worse way to plan a career. But my restlessness made me comfortable with crossing disciplinary boundaries into areas I had not previously studied, and thus it paved the way for a life of game-theoretic modeling, which is a fundamentally interdisciplinary activity. For example, I have been an editor for American Naturalist, and I am currently an editor for Journal of Theoretical Biology. I have still never taken a biology class. I would hesitate long before advising anyone to pattern their career strategy after mine. There is much truth in the adage: If you can't get what you like, like what you get. But like every adage, it is not a whole truth. If you have yet to discover what you like, how can you ever know you did not get it? Now that I have ultimately found my niche, I can look back and see how ironically my long and winding road towards it reflects what is surely game theory's most basic lesson: the best choice is never the same for every circumstance.